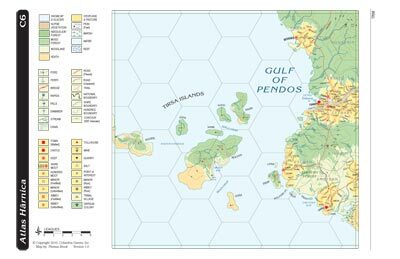 Atlas Hârnica map C6 covers the northwestern coast of the Kingdom of Rethem. The map covers a number of major settlements, including Tormau, held by Earl Denyl Lynnaeus, the most dangerous and powerful rival of Rethem's King Chafin III; Bedenes, held by the Warriors of Mameka and the base of thaat Agrikan fighting order's campaigns against the Kuboran tribes; Ithiko, birthplace of the Morgathian prophet Balsha; Winen, home to the Sheriff of Hohnam; and Dasen and Ithius, two keeps that strengthen the Earl of Tormau's grip on the region. 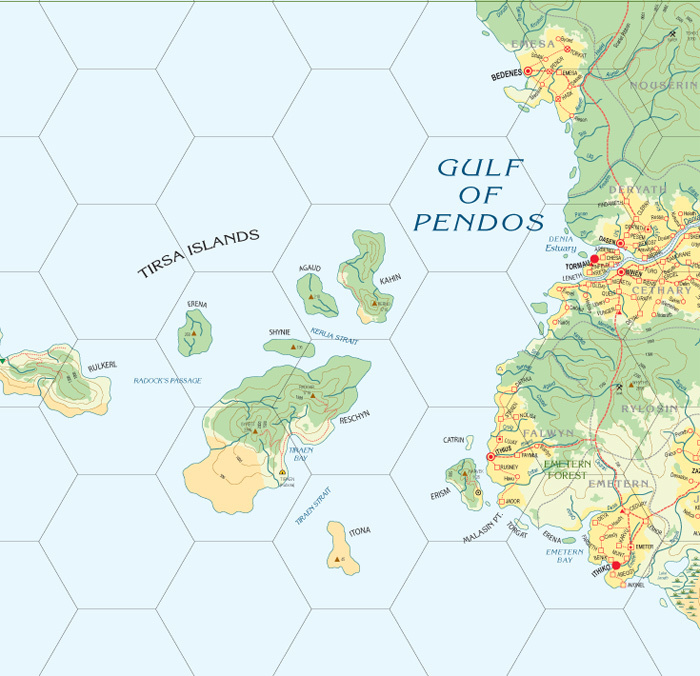 The dominant natural features on the map are the Gulf of Pendos and Tirsa Islands, home to Kuboran tribesmen and bands of pirates that prey on coastal trade.